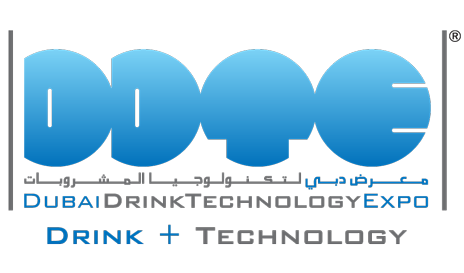 His Excellency Sami Al Qamzi, Director General of the Department of Economic Development (DED) in Dubai, inaugurated today the 9th edition of the Dubai Drink Technology Expo, which is held at the Dubai International Convention and Exhibition Centre from 7-9 March 2017. Al Qamzi was accompanied by a number of officials, specialists, and keynote speakers from the beverage technology industry in the UAE and the region. Al Qamzi toured the exhibition area where he was introduced to the latest cutting-edge technologies in beverage production machinery, process and quality control equipment, storage, transport and services associated with the beverage industry. “The Drink Technology Expo has seen an increase of about 10% in the number of participants and countries this year, which reflects the level of growth achieved by the local drink technology sector. It also underlines the significance of Dubai as a business hub and gateway regionally and internationally, especially for companies seeking new business opportunities,” – Al Qamzi. Al Qamzi added that the event is set to attract a large number of visitors and industry professionals given the diversity of products, services and technology showcased as well as the opportunities available for competitive business partnerships and investment in the flourishing beverage industry. Running parallel to the exhibition, the 6th Global Water & Beverage Technology Congress features a number of educational sessions and B2B business meetings and it will discuss the Future of Beverage Processing & Packaging. The congress will address topics like: Product range in the modern beverage market and technology trends in their packaging, New trends in beverage branding and packaging design in the Middle East, Bottled water: producing and providing regional consumers with what they want, Challenges in modern beverage packaging and their solutions, Operational impact of beverage packaging, Product recovery and reduction of water consumption and many more. This year, the exhibition is attended by 110 local and international companies from 27 countries displaying their recent innovations in the beverage industry and its related services. The largest participation in the 9thh Dubai Drink Technology Expo is from China and Turkey, both of which have dedicated pavilions. The event is expected to attract over 8,000 visitors and participants.